Spinning words in the air. A plan for life to come. Written for One Single Impression and Monday Poetry Train. Writing and poetry are hobbies that I began to pursue after I retired. Come and join me. I love it, too. Well done. Come on, Spider! Now that would be one fine spider! Nice piece! I love your spider! You have made him seem soooooo desirable, friendly and cozy. Please come back to OSI, next week we are working with the prompt, 'junction.' That one may be a challenge but I have some ideas. Some very insightful words to live by, all made real and woven together by your poem. I want the spider that loves adventure. 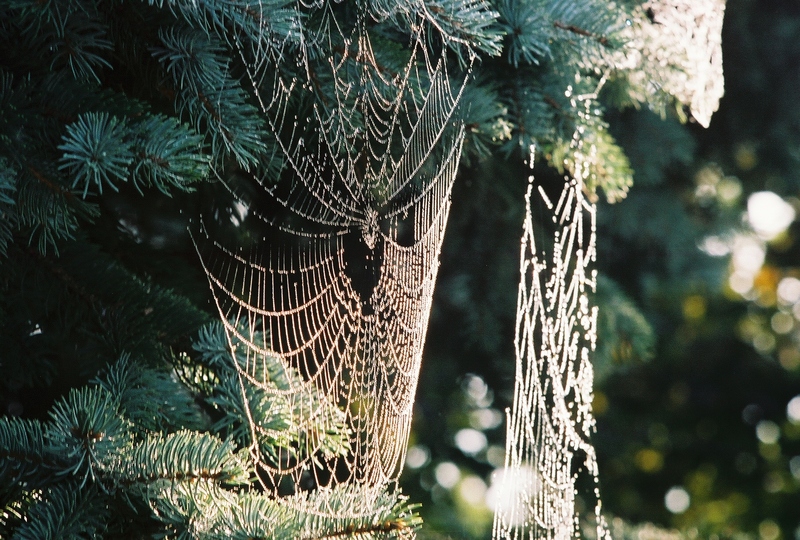 Thank you all for your comment...I have always seen aging as a spider web that begins to lay over our lives. In the end we can view it as our friend or as our enemy. What do you think? what beautiful gifts she delivers. I'm leaving my shoes out and my ears open.